November means it's time for Holiday releases, so I'll post about some of them over the next month. 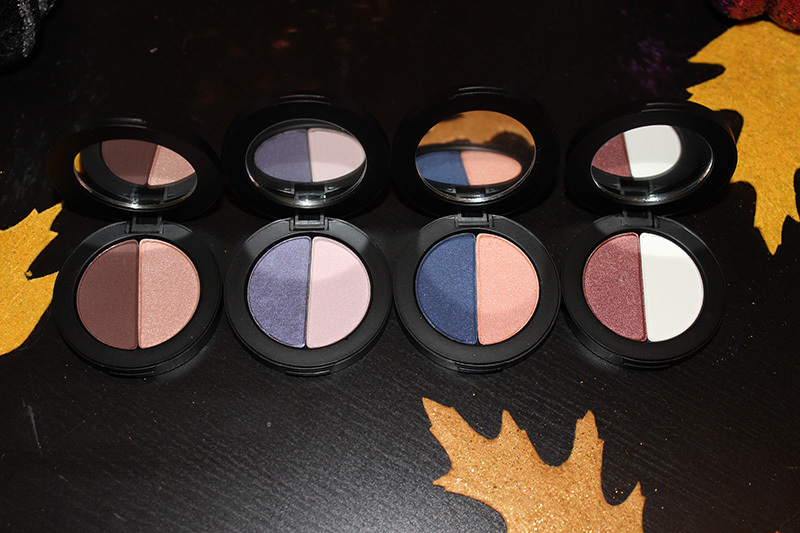 Today is all about Youngblood Mineral Cosmetics and the eyeshadow duos they released for Holiday 2015. 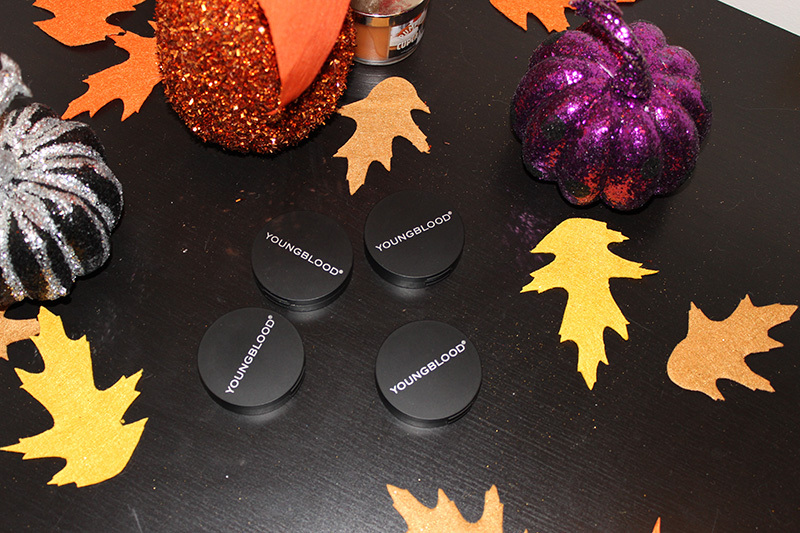 The Youngblood Mineral Cosmetics Perfect Pair Mineral Eyeshadow Duos come in cute, black compacts. These are round and plastic, but sturdy. They also have a mirror on the inside and a magnetic closure. Each compact contains 2.16g. Charismatic Duo(English Tea & Calla Lilly) These are a matte, warm chocolate brown and a metallic light rose champagne/gold. Desire Duo(Iris & Pink Rose) These are a satin-matte medium purple and a light lilac with a pink shift. Graceful Duo(Azure & Apricot) These are a matte cobalt clue and a satin coral. Virtue Duo(Passionate & Pure) These are a metallic cranberry and matte white. 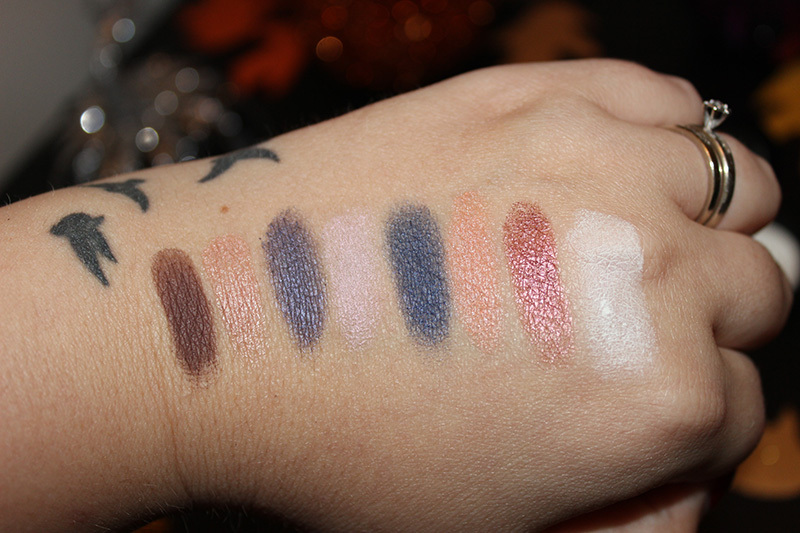 As you can tell from the swatches, these shades are very pigmented. They're super buttery, smooth and blendable as well. I'm a huge fan of the formulation and I think they're definitely worth checking out. I've only had these for a few days, but I've used them everyday since and can honestly say that I love them. They made it into my top makeup drawer where I keep the things I reach for everyday, so that says a lot for them. 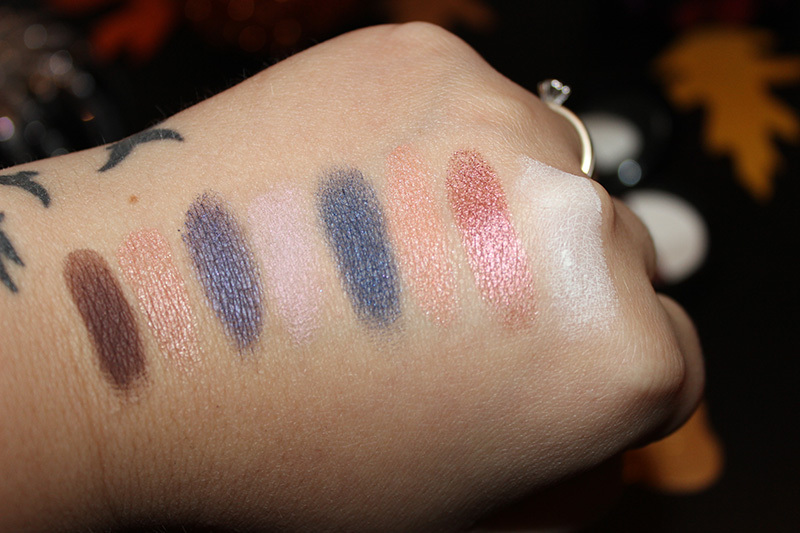 The formula is awesome and the colors are gorgeous. Youngblood Cosmetics are cruelty free, paraben free, talc free, fragrance free and oil free. 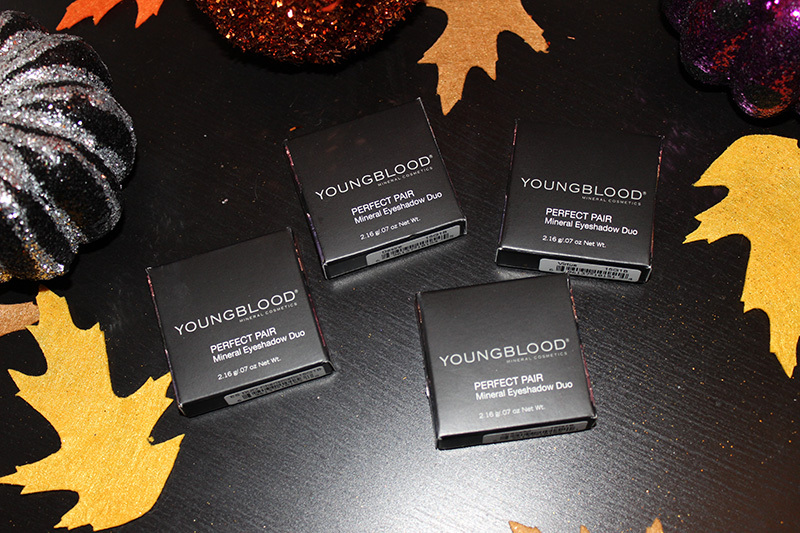 You can find these at Youngblood Cosmetics.